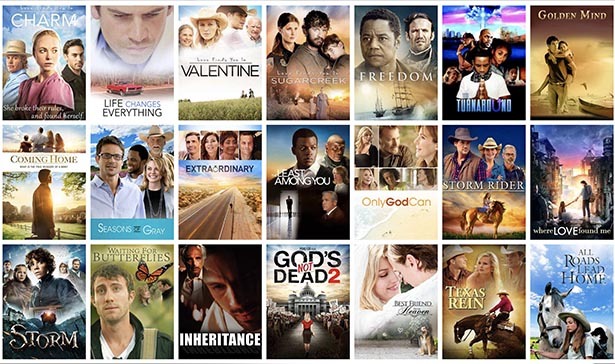 PureFlix.com went live in the summer of 2015, after the film “God’s Not Dead” had wowed audiences the year prior, becoming the sixth most profitable movie in film history. 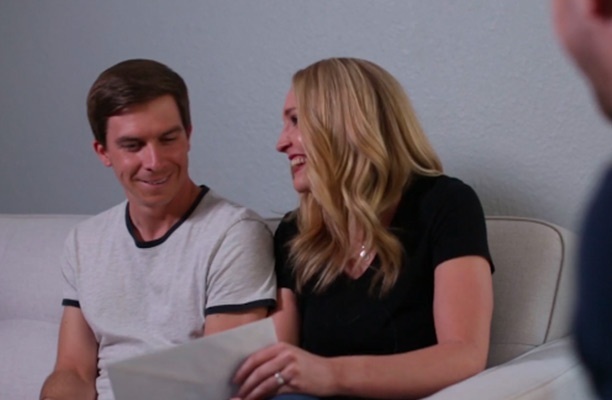 The mission of Pure Flix is simple: impact the culture for Christ through impactful entertainment. But the big screen was just the beginning; thanks to Pure Flix, Christian movies and TV shows are more accessible than ever. That’s why the New York Times said “Forget Netflix and Chill. 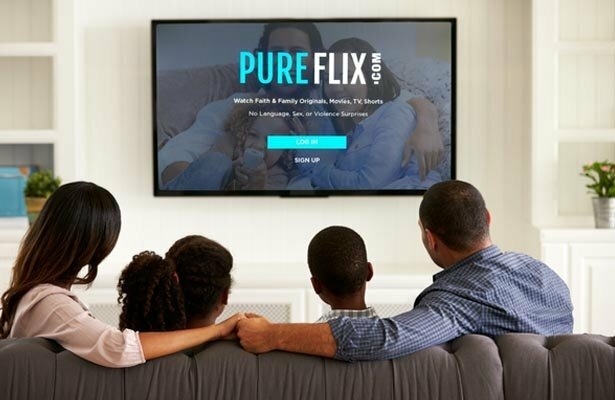 Try Pure Flix and Pray”: this streaming video service is changing the way faith and family entertainment are accessed. PureFlix.com is a streaming-video-on-demand service (like Netflix or Hulu, etc.) that allows you to watch your favorite faith media whenever you want. Unlike other streaming services, you won’t find any language, violence, or sexual surprises. 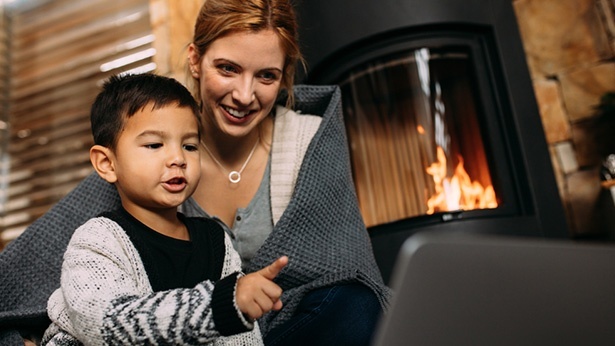 Instead, you can rest assured that Pure Flix will only stream family-friendly movies, TV shows, and documentaries, so you can feel good about watching with your entire family. Learn more. Please note: films that deal with sensitive subject matter or contain light violence or language but still demonstrate faith-driven stories are indicated with parental warnings. How Does Pure Flix Work? With a PureFlix.com membership on a browser or device app, and you’ll find comedies, dramas, inspiring true stories, end times films, and more. "Wonderful movies. It's nice to be able to sit down with our granddaughters and relax with a movie that we don't have to worry about telling them to cover their ears or eyes. If they need to, so do we. So, I love Pure Flix. Great selection of movies and series. I have subscriptions for other movie sites and even though one is not too bad, I am very selective with both of those sites. In fact, I'm thinking of unsubscribing to both of them and just keep Pure Flix." - C. Sherman (Amazon Review)"
"This is a really enjoyable website that is very good for everyone, especially families that want their children to watch more wholesome content. Many of the shows and movies have a Biblical flavor throughout the show. My children are grown, but my husband and I enjoy this site as it is relaxing to be able to watch something without wondering what may come that we won't want to see or hear. We highly recommend it." - L. Barton (Amazon Review"
Have you tried PureFlix.com yet? We’d love to hear from you. And if not, your first month is FREE! Sign up today to start watching on the #1 faith and family streaming site.